OPPO’s realme 1 smartphone comes with 6-inch display, 6GB RAM, MediaTek Helio P60 processor, Android Oreo. Earlier in the month, OPPO launched a sub brand named realme in India. Similar to Huawei’s Honor brand, realme will have an online distribution model, and relatively high spec’d phones with affordable price points. The first of these to be released is the realme 1. 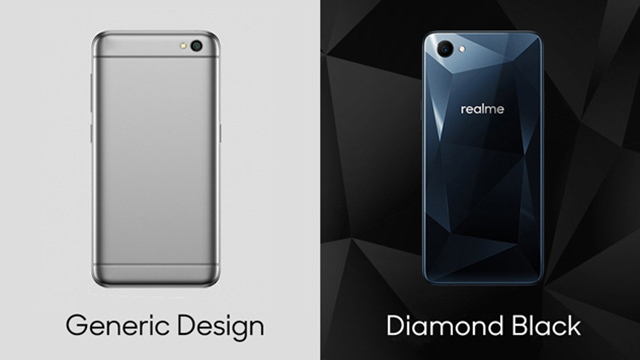 The realme 1 was shown on Amazon India, showing a Diamond Black back design that differentiates it from other affordable brands. It was being compared to a “regular” phone that suspiciously looks like a Xiaomi Redmi 5A. This time, the phone’s specs was leaked on Twitter. And looking at the list, the handset sits between the OPPO A83 and OPPO F7 Diamond Black. The realme 1 looks to come with a 6-inch full HD+ 18:9 display with a 2160 by 1080 resolution. It will be powered by an octa-core MediaTek Helio P60 processor with 6GB RAM and 128GB storage. The handset does not have fingerprint sensor, opting to use face unlock instead. The specs look good. But just to be on the safe side, take caution before being getting too excited about the phone’s specifications. Until it’s launched, we can’t confirm if this is official or not. The realme 1 will launch in India on May 15, 2018. It will soon be available in Amazon India. No news yet if the phone will reach Philippine shores.